Nightglow, Guitar Pick/Plectrum from V-Picks. 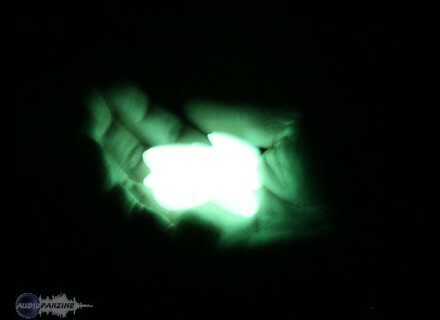 V-Picks Guitar Picks has released a glow-in-the dark pick series called... the Nightglow. In order to NOT get lost on a dark stage, these V-Picks glow in a way reminiscent of nuclear waste (remember the Simpsons, huh? 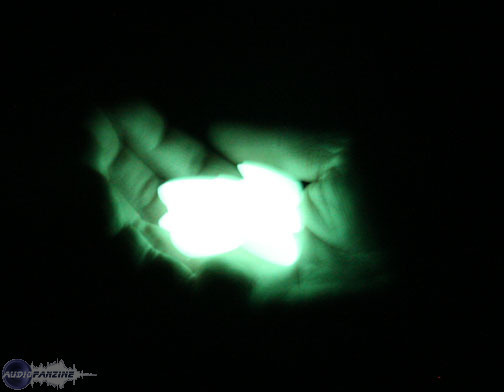 ), made with top quality glow in the dark material... according to the brand, they can keep you awake at night and stay lit for up to 6 hours in a dark room -- not the kind of stuff you commonly see in kids toys. Available in Small Pointed, Medium Rounded, Large Rounded and Screamer shapes, the Nightglow picks are available for $5 each. Audiotech ABC Selector LCM units Audiotech Guitar Products is about to release three limited edition prototypes of its upcoming ABC Selector LCM Unit. Guyatone Mighty Micro Hot Drive Guyatone introduces new “mighty micro” series of pedal effects. Guyatone Mighty Micro Wah Rocker Guyatone introduces new “mighty micro” series of pedal effects.